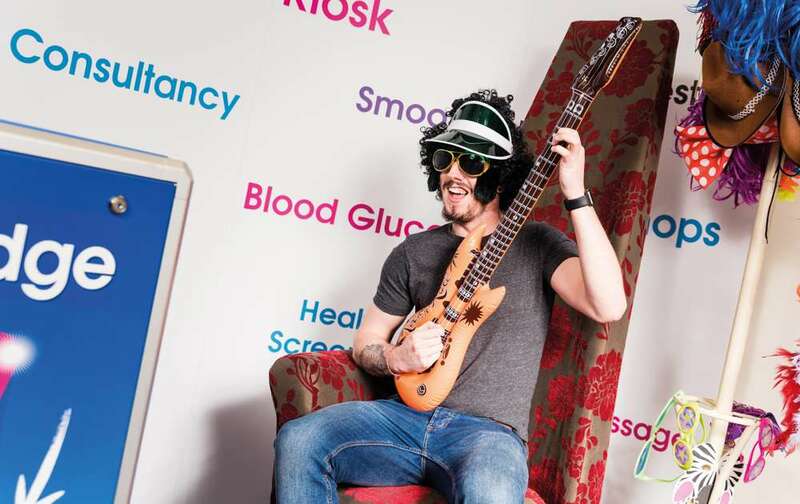 The iPledge Photo Booth offers a unique experience and is a great place for employees or individuals to connect, interact and have fun and at the same time making a wellbeing pledge! Sharing goals is vital to success; iPledge makes this easy. 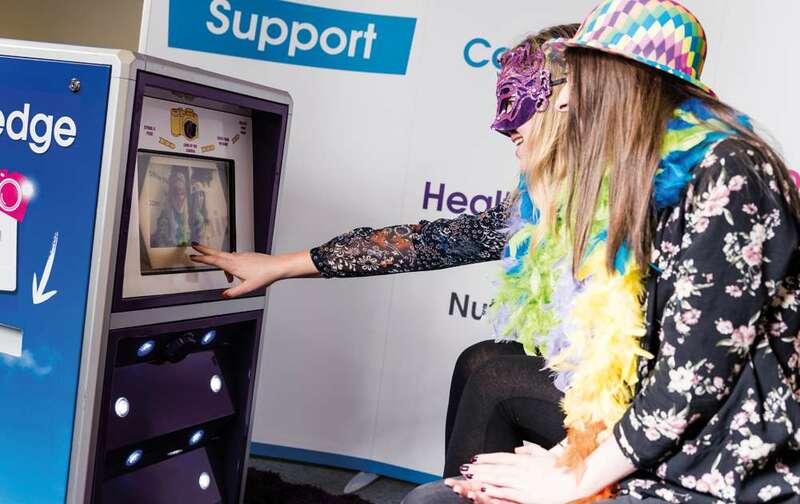 The booth is perfect for all ages with simple touchscreen prompts, Big Brother style chair and backdrop, props and fast photo printing facility. Outcome: Fun, interactive and engaging. Boosts morale and workplace wellbeing. Goal setting gives vision and motivation. Perfect to use at health and wellbeing events! 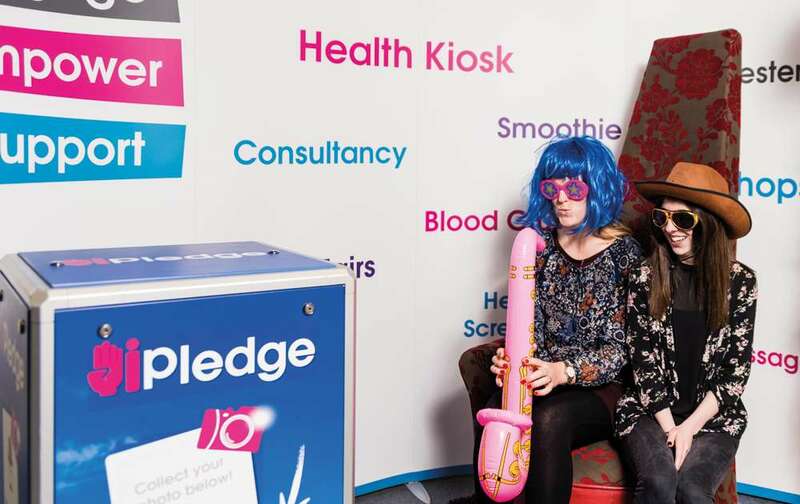 What is the iPledge Photo Booth? 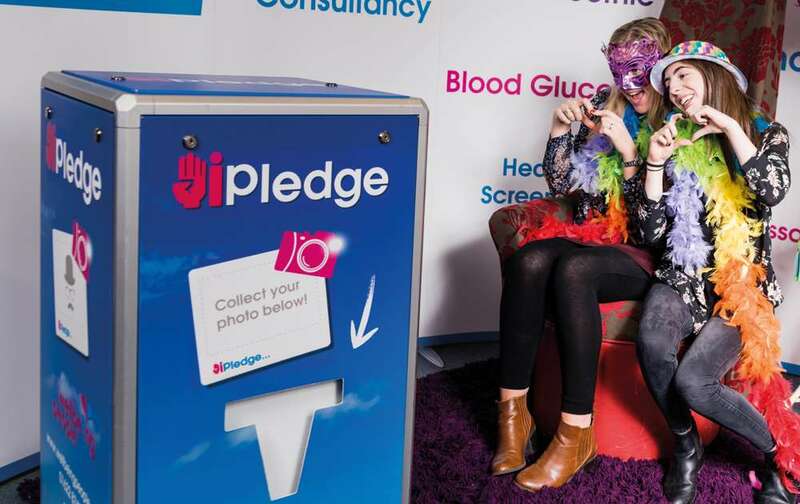 The iPledge Photo Booth is great for corporate and community health fairs and events or just as a motivational standalone product. Goal setting is used by athletes, businesses and people in all walks of life. Setting goals gives you vision and motivation, both long and short term. It focuses your knowledge and helps you to plan your time and resources so that you can get the most out of life. Visit the booth alone or with a crowd – the choice is yours… there is only one rule – set a wellbeing goal and share it! Why not create a ‘wall’ and pin all the pledges in one place as a reminder of the day! The iPledge Photo Booth prints a photo with your goal printed below (6”x4”) and sends an email with the photo to the address given. Sharing goals is vital to success; iPledge makes this easy. Engaging employees brings a sense of value and appreciation. Happy staff are more productive. Goal setting by making a pledge gives motivation and vision.